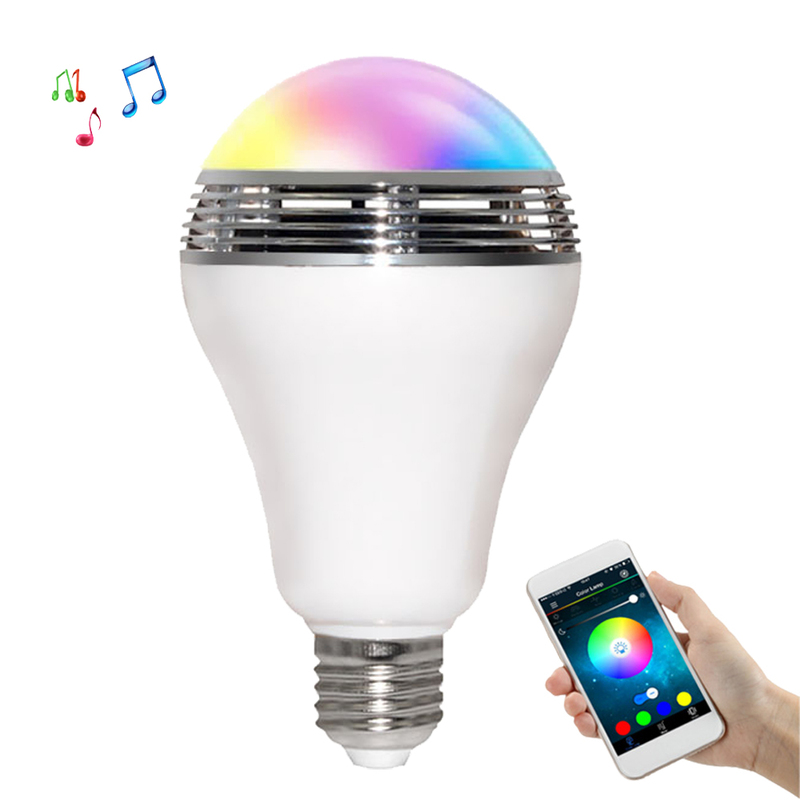 Music Light Bulb: 2 in 1 smart Bluetooth speaker LED lamp, it brings you beautiful light and wireless music enjoyment at the same time. 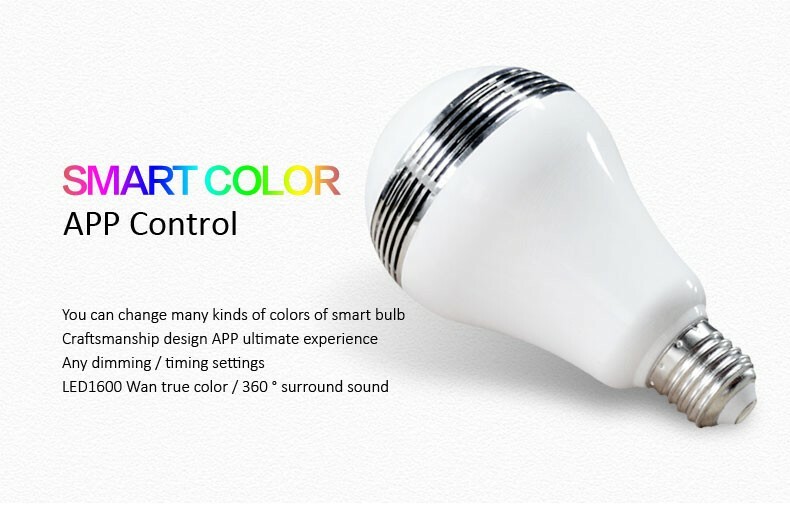 Strong Compatibility: Built-in Bluetooth 4.0, it can be easily paired with Bluetooth-enabled devices, such as, for iPhone 6S / 6S Plus, for iPad, for Samsung Galaxy S6 / S5, Note 5 / 4, etc. 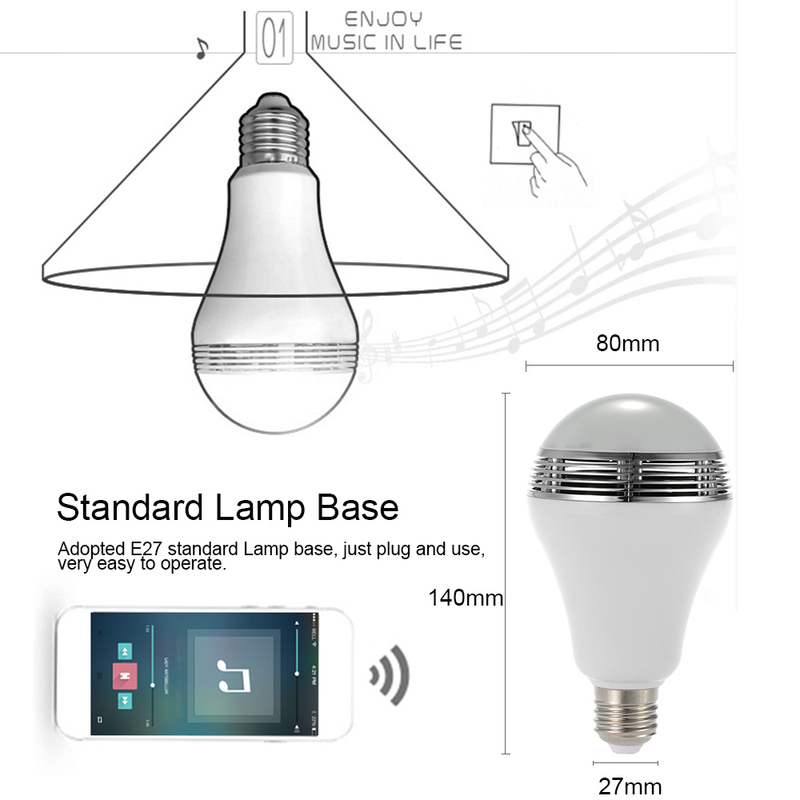 Best Sound Quality: The advanced acoustic technology delivers a clear sound. 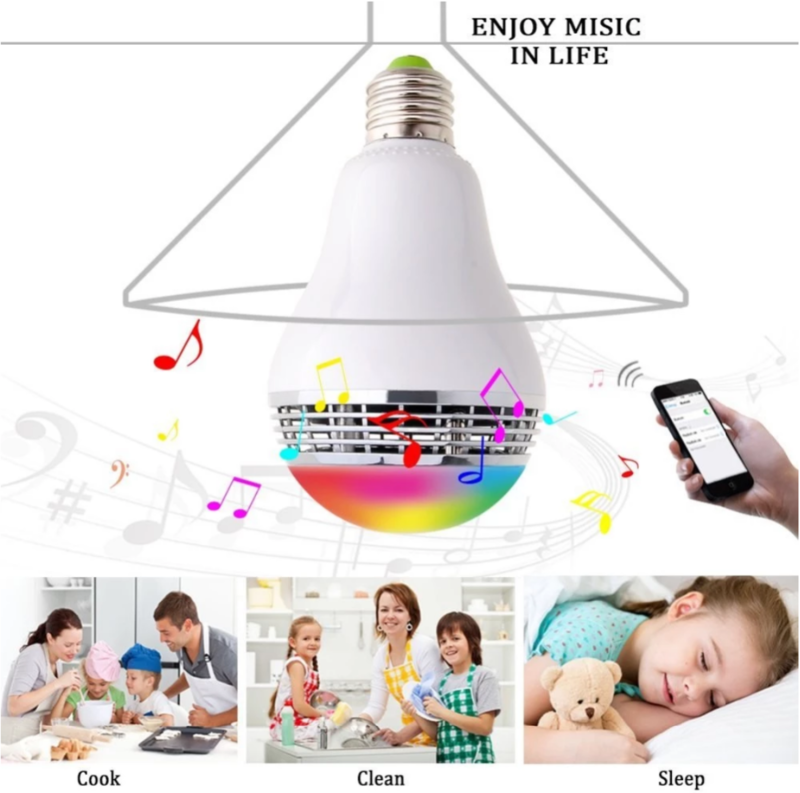 Built-in 3W speaker, it produces pure and crystal sound. 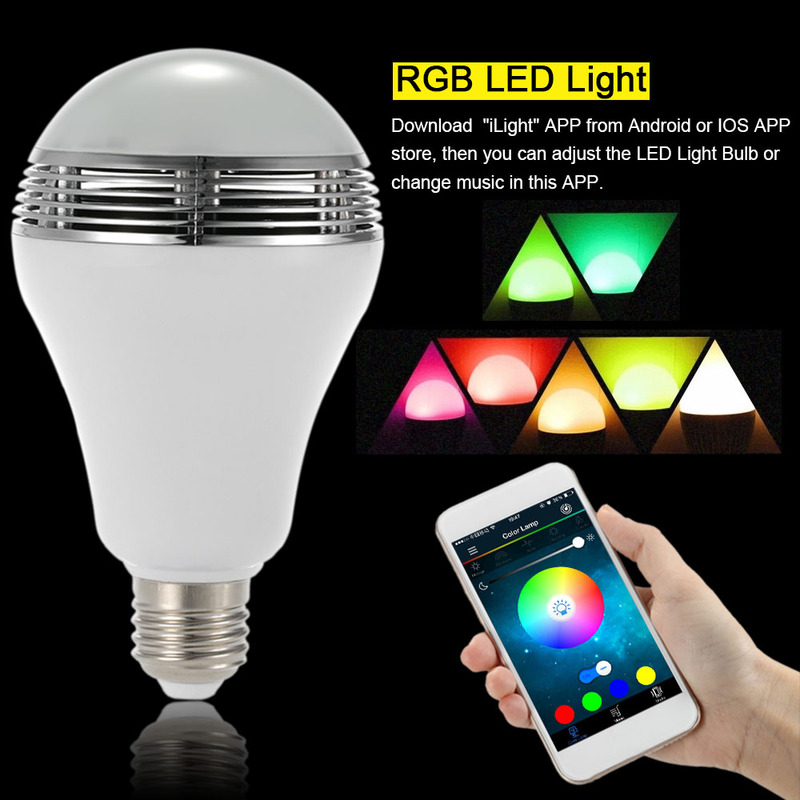 RGB LED Light: Download "iLink" APP from Android or IOS APP store, then you can adjust the LED Light Bulb or change music in this APP. 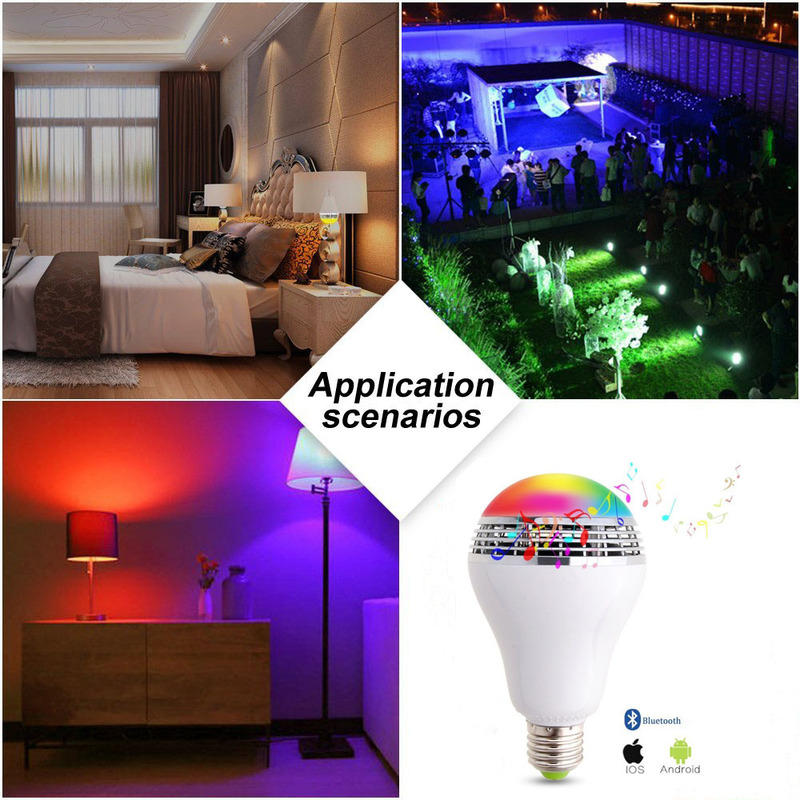 Operation Range: Wireless control range up to 10m / 33ft, you can enjoy the fun of wireless controlling the light and music playback. 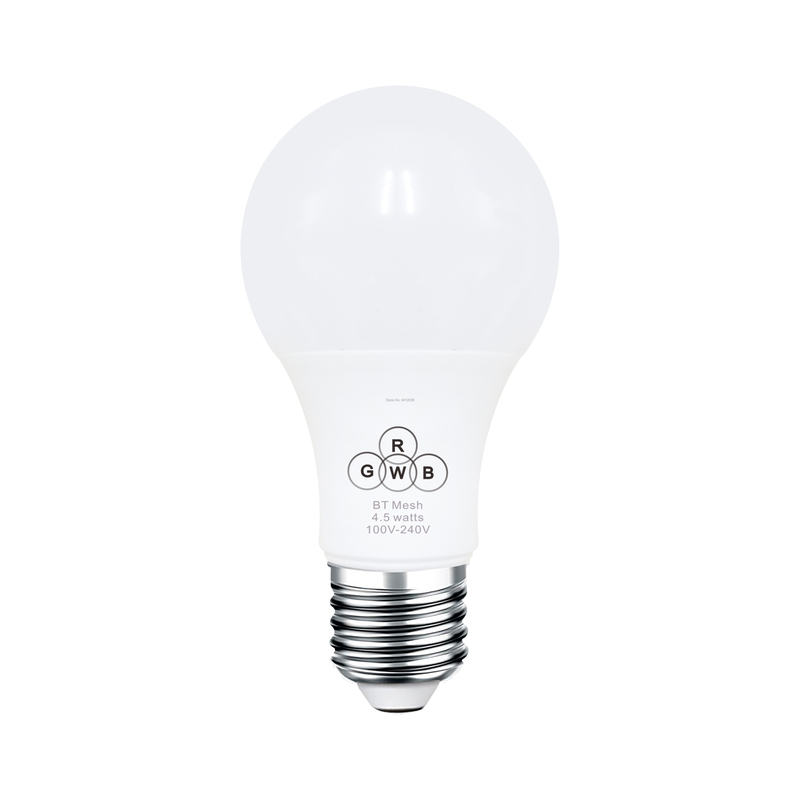 Eco-friendly: With 3W power, high brightness and low power consumption. 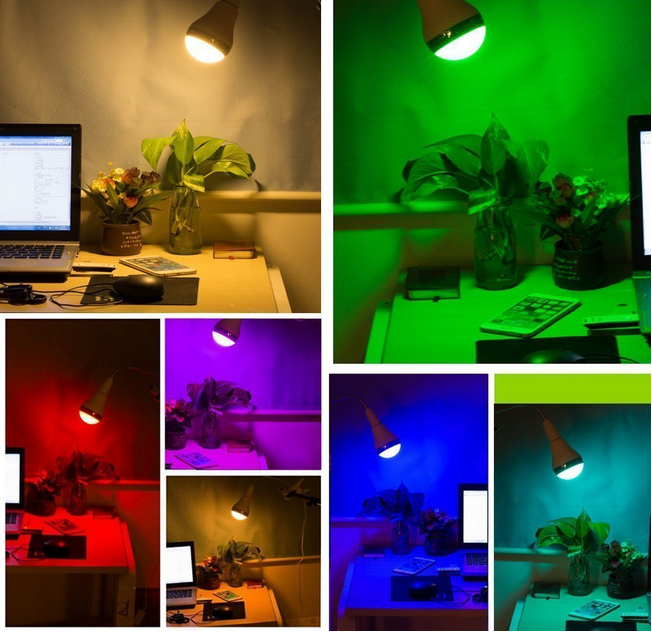 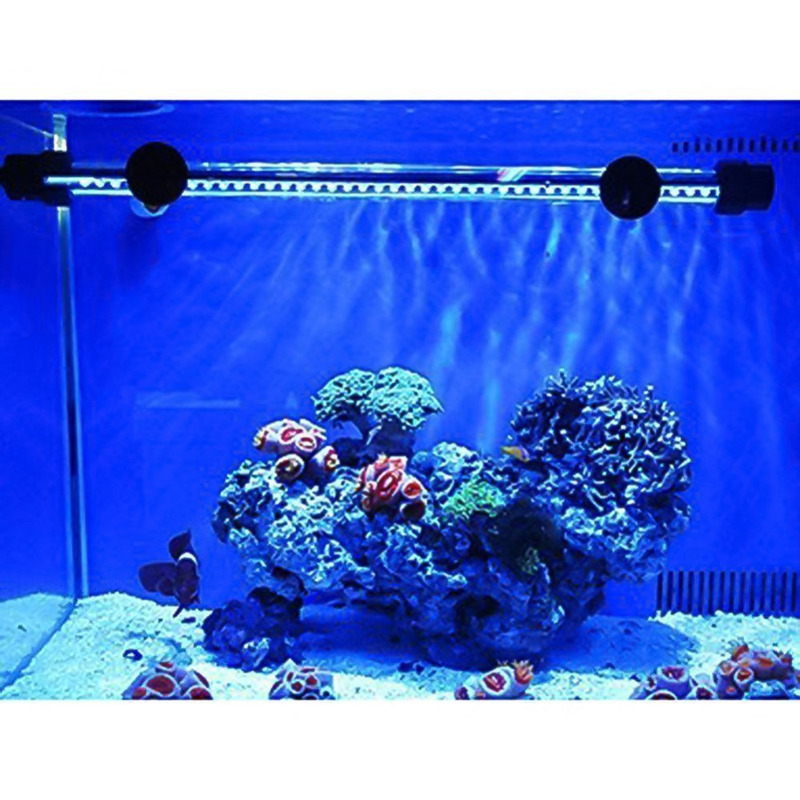 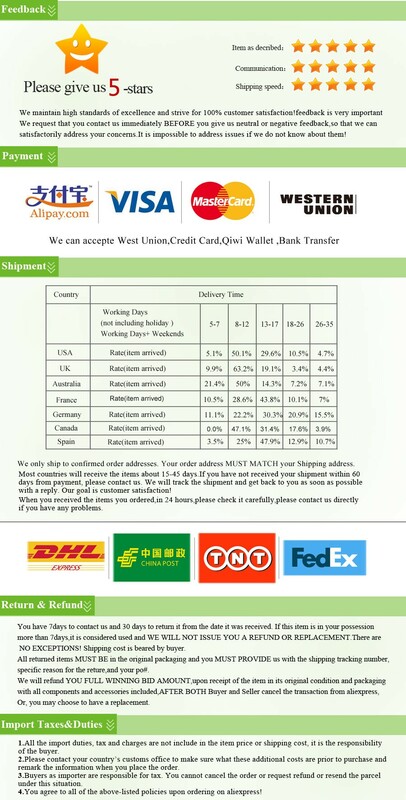 Standard Lamp Base: Adopted E27 standard Lamp base, just plug and use, very easy to operate. 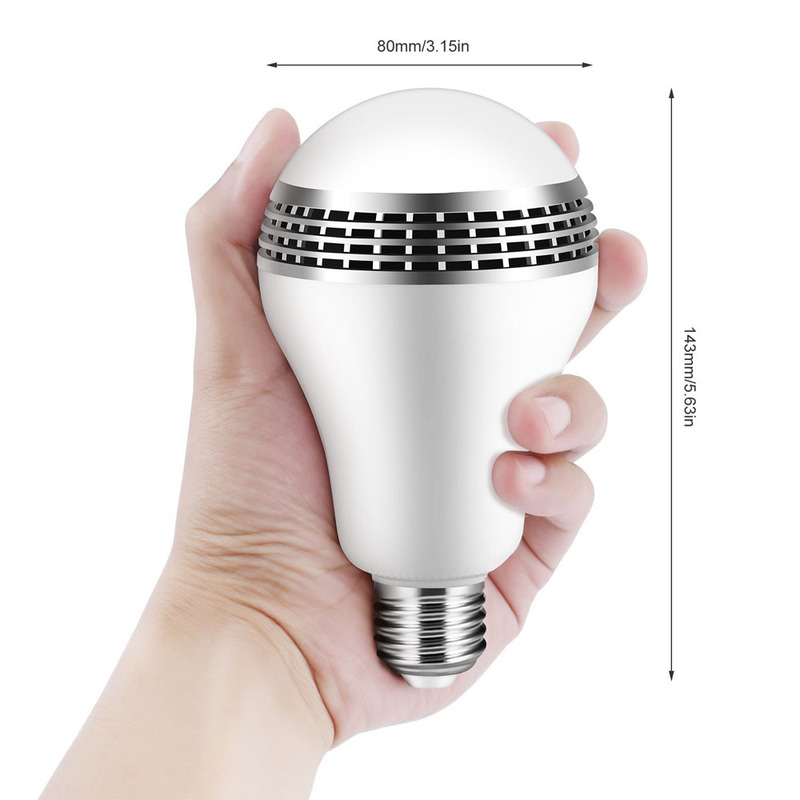 Suitable Occasion: Multi-functional light bulb can creates a romantic atmosphere at home party, hotel, and shopping mall, ect.